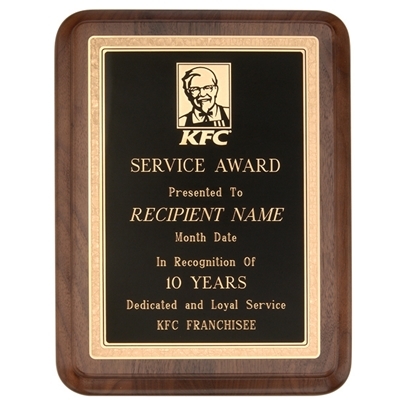 Recognition → KF0001 - Walnut Plaque - 8" X 10"
KF0001 - Walnut Plaque - 8" X 10"
Please call to order plaques and verify total cost. Engraving is additional $.30 per letter and will be added to the listed plaque price. To order call customer service at 1-800-331-0989.